Joined our Trafalgar tour this morning and, thank god, most of our fellow tourists are Aussies! 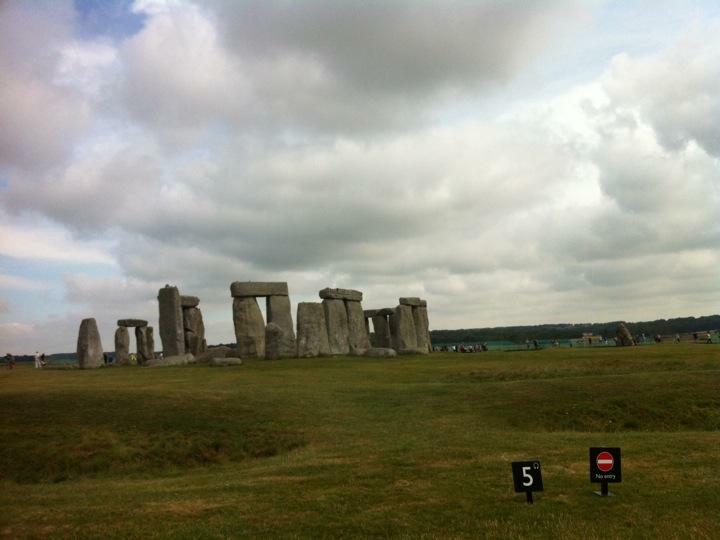 Our first stop was Stonehenge (raised 4500 years ago) followed by lunch in Salisbury. The Salisbury Cathedral has the tallest spire in Britain (440 ft) and has only 6 ft deep foundations. It was built in the 1200's and houses the best preserved copy of the Magna Carta (one of 4 originals). We then drove on to Plymouth and had our welcome dinner at the Mussel Inn, Down Thomas.